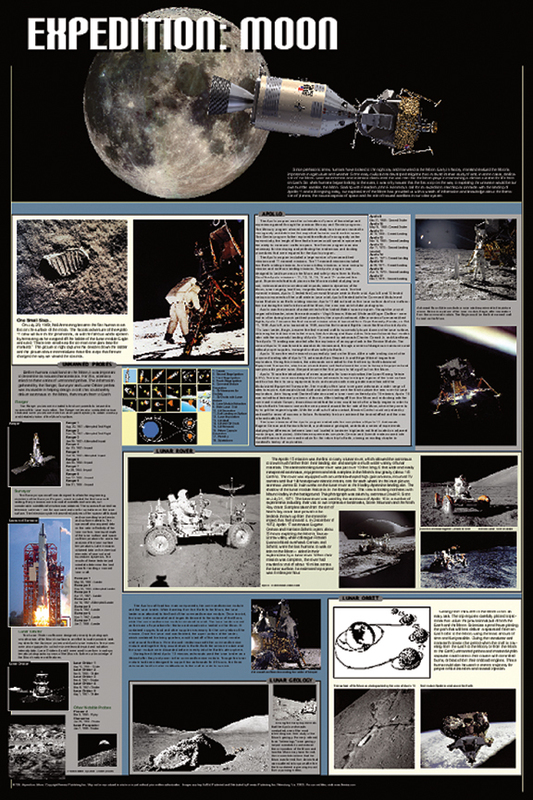 This poster provides a comprehensive overview of American moon expeditions. Starts with a program overview, then provides a mission plan overview. It then explores each of the individual missions. Detailed information on the lunar rover and other special equipment. Tells what was accomplished and what we learned. Filled with fascinating photographs and informative text.